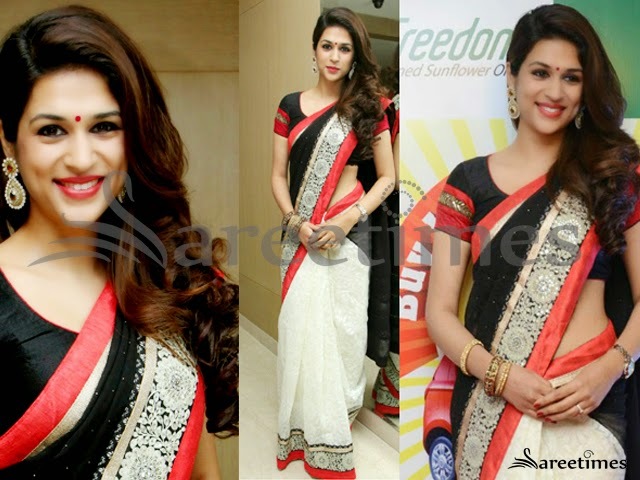 Actress Shraddha Das at Freedom Refined Sunflower Oil Promotion Event in black and white half and half saree with white pleats with black and red embellished border and black chiffon pallu, paired with black short sleeves blouse. Actress Anitha Chowdary in a lemon yellow chiffon saree with lace embroidery borders and imprints all over. Actress Anushka at "Lingaa" audio success meet in a lovely half and half Sabyasachi saree. Embroidered pleats and black chiffon pallu paired with black three fourth sleeves blouse. Ashwini in Blue Chiffon Saree. Actress Ashwini at in blue chiffon saree. Polka dots all over the saree paired with floral embroidery at the border paired with a sleevless silver coloured v necked blouse. Actress Kajal Agarwal in a peach color georgette saree designed by Sonam and Paras Modi. Peacock embroidery over the pallu paired with a sleeveless v neck blouse. 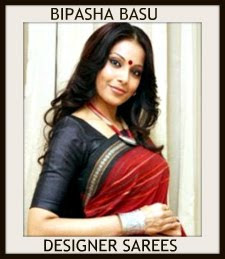 Actress Bipasha Basu in IIFA press conference wearing a green chiffon saree designed by Manish Malhotra. Greenish yellow and gold coloured saree paired with dark green sleeveless, V neck blouse. Actress Tamannaah Bhatia on “Koncham Touch Lo Unte Chepta” wearing a Royal Blue Saree designed by Tarun Tahiliani. Plain chiffon saree with embroidery border.Paired with quarter sleeved blouse, closed neck and studded with crystals. Actress Yamini Baskar wearing a blue chiffon saree. Gold embroidery paired with gold border . Floral imprints all over the saree with gold sleeveless blouse. 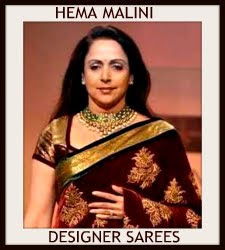 Hema malini at Wollywood integrated township launch in a chiffon saree. 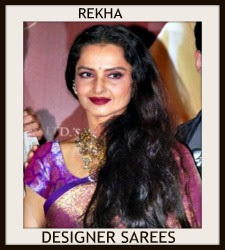 The Bollywood beauty appeared in white transparent saree comes with a very heavy unique stone work at the borders to give the designer looks. Paired with a red V necked designer blouse made in chiffon, Matti jari material and stone works. South Indian actress and MLA Roja in beautiful red designer printed chiffon saree with black border. White printed designs and black horizontal stripes highlighted. Paired with designer embroidered full sleeves saree blouse with round neck pattern. Small mirrors all over blouse. 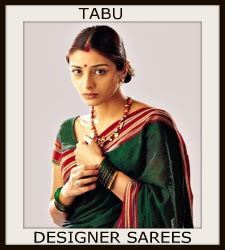 South Indian actress Tanvi in beautiful cream and red designer dual color printed chiffon saree. 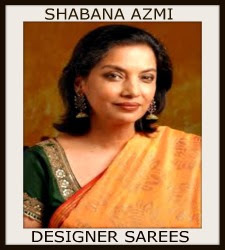 Printed designs work all over saree and through out border. 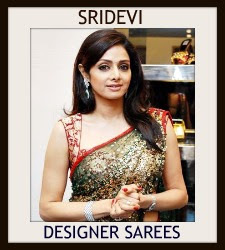 Paired with designer cap sleeves saree blouse. 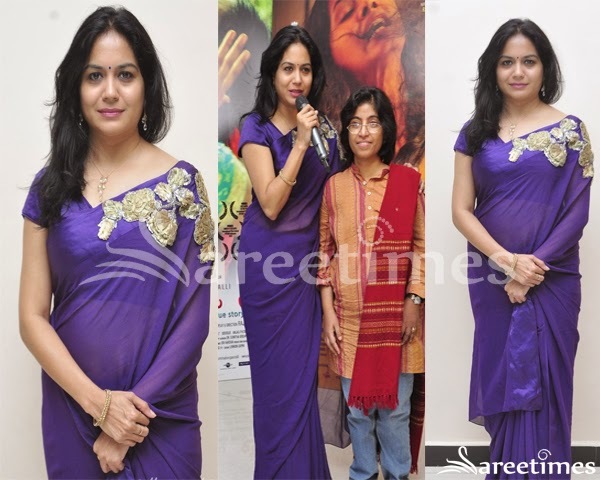 South Indian actress Haasika/Rakshitha in beautiful pink designer chiffon saree. Beautiful pink stripes all over saree and silver thread work border. Paired with Pink designer matching cap sleeves saree blouse with ‘V’ neck pattern. 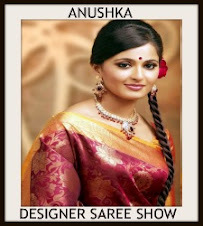 South Indian actress Archana in beautiful white and pink designer dual color chiffon saree. 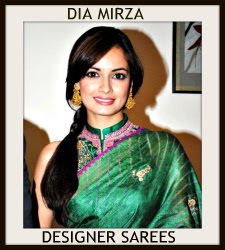 White embellished motifs all over saree. Sequins buttes through out pink border. 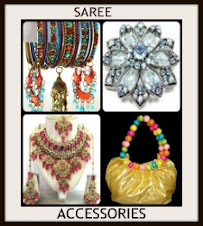 Contrast with black designer mini sleeves saree blouse. South Indian actress Sanjana in beautiful pink and green combination half saree. Fish cut stylish heavy lenth lehenga and teamed with silver color silk patch border. It is a pink embroidered chiffon dupatta with silver patch work border,followed by green simple line. Small mirrors all over dupatta. 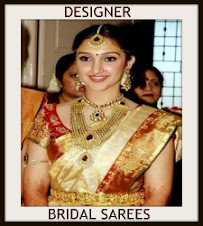 Paired with silver embellished cap sleeves saree blouse for back with ‘V’ shape neck pattern. 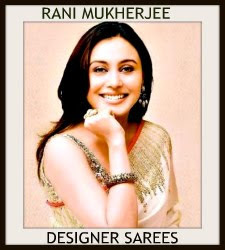 Bollywood celebrity in beautiful cream designer chiffon saree with gold embellished applique patch work border. Paired with designer sleeveless saree blouse. Character artist Kinnera in beautiful designer half and half saree. It is a pink,yellow and peach tricolor chiffon fabric. Black foot printed designs all over green saree and black border. Followed by printed work. 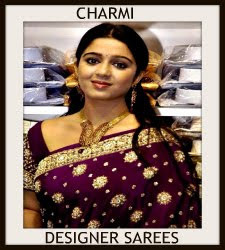 Paired with designer quarter sleeves saree blouse with ‘V’ collar neck pattern.